How would I go about making my hudhealthaccount not cut off? How would I go about making my [url=http://imgur.com/a/8VEf7]hudhealthaccount[/url] not cut off? RentQNWell if there is a real fix for this I'd like to know about it too, but from what Wiethoofd said, there isn't. Plus I had this bug happen with a bunch of HUDs I've used and I assume that if there is a fix, the people that made the HUDs would know how to do it. okay, still good enough then lol. thanks for your help !! [quote=RentQN]Well if there is a real fix for this I'd like to know about it too, but from what Wiethoofd said, there isn't. probably been asked before, but what do I need to change to make my low ammo indicator flash sooner? Is it possible to recreate the HealthDeathWarning field and value found in hudplayerhealth.res and add something similar to make my low ammo indicator go off sooner? How can I get a thicker outline for my font? Does anyone know how to move ALL the building files so they are in a different hud position, but all the buildings are also in order? Also, does anyone know how to move the voice chat box? what field within hudtournament.res controls the positioning of the player icons showing if they're readied up or not for pugchamp and faceit? Konceptwhat field within hudtournament.res controls the positioning of the player icons showing if they're readied up or not for pugchamp and faceit? Editing can be done on a local server with mp_tournament_readymode 1 or from a demo recorded during pregame. 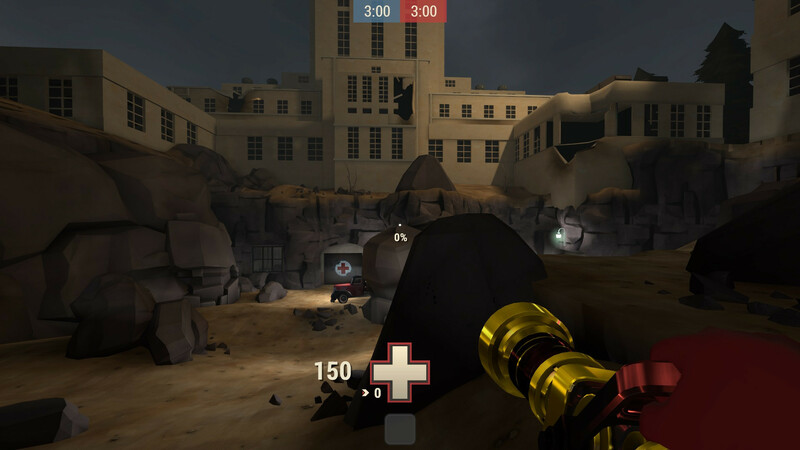 Editing can be done on a local server with mp_tournament_readymode 1 or from a demo recorded during​ pregame. Thanks for the help on that. Any idea if my other question about changing the low ammo indicator percent can be modified? KonceptIs it possible to recreate the HealthDeathWarning field and value found in hudplayerhealth.res and add something similar to make my low ammo indicator go off sooner? I have another question, when I die as engineer my building menu is lower than the one I edited in HudLayout.res with BuildingStatus_Engineer. Anyone know why this occurs? And how do I move it? DtbrI have another question, when I die as engineer my building menu is lower than the one I edited in HudLayout.res with BuildingStatus_Engineer. Anyone know why this occurs? And how do I move it? I've isolated the file that is affecting my problem on what displays and doesn't display the checkboxes for casual MM to be the clientscheme.res file. I just can't figure out what I should be adding to my clientscheme.res to make the checkboxes show up. Can anyone tell me the exact part I need to just turn on checkboxes for map selection? I been looking through it here but can't figure it out. Can anyone tell me the exact part I need to just turn on checkboxes for map selection? I been looking through it [url=https://github.com/SteamDatabase/GameTracking/blob/82c9ece2827a77cc3dc79e0ebc2b9838a41392a6/tf/tf/tf2_misc_dir/resource/clientscheme.res]here[/url] but can't figure it out. @Koncept I'm 99% sure that is caused by using the high quality item images and resizing them. The skins and festivized weapons don't resize properly automatically anymore since the Smissmas update. The transparency on it is caused by not having "use_item_rendertarget" "0" in the itemmodelpanel section. @[b]Koncept[/b] I'm 99% sure that is caused by using the [url=http://rebelconquer.net/25428/higher-quality-item-images-in-inventory-loadouts]high quality[/url] item images and resizing them. The skins and festivized weapons don't resize properly automatically anymore since the Smissmas update. The transparency on it is caused by not having [i]"use_item_rendertarget" "0"[/i] in the itemmodelpanel section. Hey guys, still cant figure out how to move the voice/mic box... Little help? Dunno if it's been asked before, but is it possible to add a hud element that shows the number of alive players on each team? Yeah I know that hitting tab and taking a quick glance isn't rocket science but it would still be pretty neat to have this. How can I add a health cross to a HUD that doesn't have one (m0reHUD in this case). m0reHUD already has a health cross, but it's one of those where the health number is inside the cross. But what I want is one where the number is next to the cross. Can't seem to figure out what I have to change to get the numbers outside of the cross when I using m0reHUDs health cross customization file. Also tried copying parts of the hudplayerhealth files from other HUDs that have the kinda cross I want into my HUD, but that didn't work either. DtbrHey guys, still cant figure out how to move the voice/mic box... Little help? find HudVoiceStatus in hudlayout.res and change its "xpos" and "ypos"
where is this thing defined? [quote=Dtbr]Hey guys, still cant figure out how to move the voice/mic box... Little help? RentQNHow can I add a health cross to a HUD that doesn't have one (m0reHUD in this case). [quote=RentQN]How can I add a health cross to a HUD that doesn't have one (m0reHUD in this case). Hey, the crosshair switching for the default crosshair is broken for me. Which files should I go to and what should I do to fix this? How would I modify my current hud to add a second ubercharge percentage field underneath my crosshair like with medhud: https://i.imgur.com/1SGaDs7.jpg ? edit: If i could get it like this guy has it in his video, like a purple damage indicator, that'd be cool tbh. edit: If i could get it like [url=https://www.youtube.com/watch?v=DP6LB-hOERk&t=100s]this guy has it in his video[/url], like a purple damage indicator, that'd be cool tbh. How can i remove the hyphen (-) from damage numbers to just it showing damage numbers? How can i remove the [url=http://prnt.sc/eol1q3]hyphen (-) from damage numbers[/url] to just it showing [url=http://prntscr.com/eol2sf]damage numbers[/url]? typtoHow can i remove the hyphen (-) from damage numbers to just it showing damage numbers? Take the font you want, open it in fontforge or whatever font editor you want, edit the - glyph so that it's 0 units wide and completely blank (don't just delete the glyph, because then it once it's actually used it'll default to Arial's glyph instead), and rename the font and save it as something new so you can put it inside clientscheme and everything like normal. I duplicated the element by changing the field name but referencing the same control name and later changed the font. However, I encountered some issue when trying to put the element close to the crosshair. When I set ypos to -30, the [url=http://steamcommunity.com/sharedfiles/filedetails/?id=892313022]second element began to be cut off[/url] and would disappear if I positioned it any higher. I attempted to raise the zpos up to 10, but it made no difference. How do I prevent the percentage from disappearing/cut off? How could I increase the size of the font?